Elizabeth Wurtzel published her memoir of depression, Prozac Nation, to astonishing literary acclaim. A cultural phenomenon by age twenty-six, she had fame, money, respecteverything she had always wanted except that one, true thing: happiness. 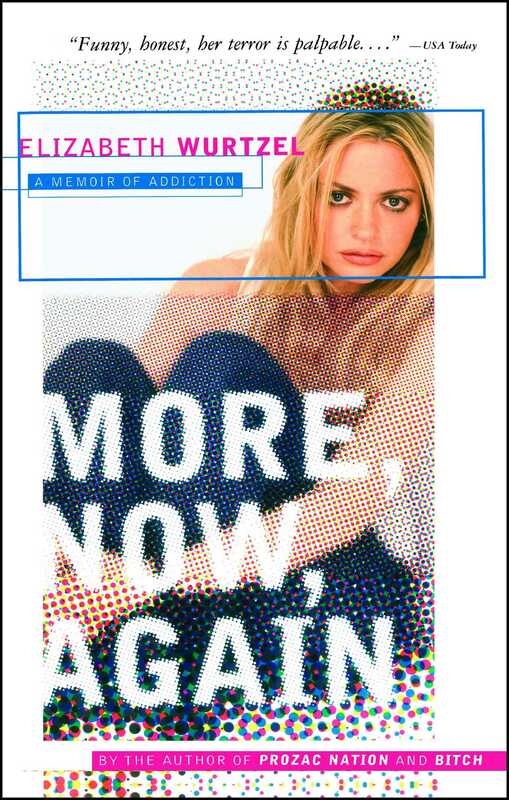 More, Now, Again is the brutally honest, often painful account of Wurtzel's descent into drug addiction. It is also a love story: How Wurtzel managed to break free of her relationship with Ritalin and learned to love life, and herself, is at the heart of this ultimately uplifting memoir that no reader will soon forget. USA Today Funny, honest, her terror is palpable. Will Blythe Elle More, Now, Again (has) the frothy pleasures of a Jacqueline Susann novel as written by a spiky Harvard girl. Kera Bolonik Book More, Now, Again, a visceral and at times mordantly funny book...is (Wurtzel's) finest work to date -- a breathtaking read from beginning to end. Kirkus Reviews Generational spokesperson Wurtzel pens a...moving account of her battle with drug addiction...a wake-up call about the abusive potential of Ritalin -- and a searing account of a long, deadly dalliance with destruction. Jeff Guin Fort Worth Star-Telegram Wurtzel is...an amazing writer.